London : The failure of a handful of beta cell “hubs” in the pancreas are the likely reason for developing diabetes, rather than the behaviour of all cells, says a study. Type 2 diabetes occurs when the pancreas fail to produce enough insulin to function properly, meaning that glucose stays in the blood rather than being converted into energy. Beta cells that produce insulin a hormone that can reduce blood glucose concentration make up around 65-80 per cent of the cells in the islets of the pancreas, with the primary function of storing and releasing insulin. However, the findings revealed that just 1-10 per cent of beta cells control islet responses to glucose. 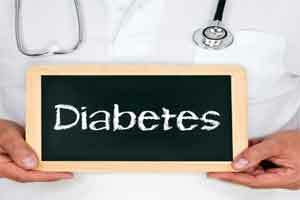 “These specialised beta cells appear to serve as pacemakers for insulin secretion. The study found that when their activity was silenced, islets were no longer able to properly respond to glucose,” said David Hodson from the University of Birmingham in Britain. “It has long been suspected that ‘not all cells are equal’ when it comes to insulin secretion. These findings provide a revised blueprint for how our pancreatic islets function, whereby these hubs dictate the behaviour of other cells in response to glucose,” Hodson explained, adding that the results could pave the way for therapies that target the “hubs”. In the study, published in the journal Cell Metabolism, the team used optogenetic and photo pharmacological targeting to precisely map the role of the cells required for the secretion of insulin.